Keio Department Store in Shinjuku is located in the heart of buzzing Tokyo. Shinjuku is awash with amazing department stores that cater for fashion, lifestyle, cosmetics and an array of other products. This article is primarily focused on the cosmetics section at Keio Department Store on floor one and the Esthederm brand. The Keio Department Store caters for cosmetics, fashion, accessories, confectionary, travel, handbags, shoes, health and beauty, kitchenware, bedding and other goods including sport items. Like all major department stores in Japan then this store is synonymous with quality and excellent customer service. In the cosmetic section on the first floor you have countless numbers of exquisite brands to browse around before selecting the appropriate goods. 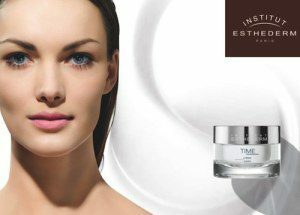 Major brands include Estee Lauder, Sk-II, Max Factor, Esthederm, Yves Saint Laurent, Shiseido, Dior, Clinique, Kao Sofina, Kanebo, Chanel, Givenchy, Kose, Guerlain, Sisley, Shu Uemura, Helena Rubinstein, Bobbi Brown, FANCL, Fragrance, Lancome, Clarins, and many others like Pola. Of course, it is unfair not to mention all the brands on the first floor in the cosmetics section because every individual company provides quality products. 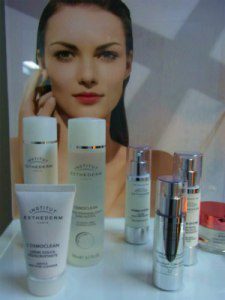 If individuals are focused on radiating their skin and caring deeply about many various angles then Esthederm provides exquisite products in abundance. Their exclusive products cater for four main sections in relation to professional treatments, body, face and the sun. The professional treatment area applies to intense dryness, acne prone skin, hyper-sensitive skin, lack of vitality, deep wrinkles, lack of firmness, hair removal, excessive weight gain and pigmentation and wrinkles. While the face section covers cleansing and makeup removal, protection reprogramming, protection and revitalization, radiance and youthfulness, purification, sensitive skin, nourishment, toning and firming, moisturization and revitalization, wrinkles, cellular booster, sagging, hormonal aging, brown patches and pigmentation. 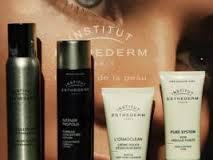 Esthederm also provides essential products related to the sun. Areas covered by this company includes pre-tanning suncare, sensitive skin tanning care, normal skin tanning care, very high protection care, high protection and sun intolerance care, high protection anti-brown patches care, self-tanning care and sun makeup, after-sun care and tan activator care. Of course, these products are essential for individuals who want to protect their skin and to regenerate areas related to the sun. Like previously mentioned the cosmetic section on the first floor at Keio Department Store provides for exquisite brands in abundance. This equally applies to highly esteemed Japanese and international brands. Not surprisingly various angles are provided by respective companies and this applies to cosmetics, skin care, beauty, lifestyle and other related areas. Each exquisite brand enhances the cosmetic and beauty angle at the Keio Department Store therefore shoppers are spoilt for choice. Keio Department stores provides quality goods throughout this store and shoppers have ample places to relax over coffee and cake or a quality and delicious meal. This store is located within the environment of the huge Shinjuku train complex therefore the location is extremely convenient.